Renowned traffic ticket lawyer Mr. Ticket now offers consultations for those facing hit and run charges to offer advice on the best course of action needed. It can be confusing and a little frightening for drivers who are facing charges in court that are more serious than traffic citations. A good attorney can not only help in providing a defense but can also help the accused to know what to expect throughout the legal process. Drivers who are being charged with hit and run can now receive a consultation from renowned Los Angeles traffic attorney, Mr. Ticket. Facing the courts to fight everything from traffic tickets to more serious charges can be enough to cause the jitters and create uncertainty for any driver. Even for smaller traffic violations, the presence of someone such as a red light tickets lawyer in Los Angeles may be enough to settle nerves and provide a sense of confidence when facing a judge. However, a more severe offense like a hit and run should be taken a little more seriously than a minor traffic offense. Offenses such as hit and run, drunk driving, reckless driving, and others are seen as criminal offenses and can remain on a driver's permanent record, whether charged as a misdemeanor or a felony. A representative, such as a drunk driving lawyer, can be of vital importance to helping the accused to understand what is expected before, during, and after the court proceedings. For example, a skilled reckless driving lawyer can explain what happens at each court appearance and may be able to have the charges reduced or even dismissed. When drivers are having trouble having their driving privileges reinstated, working with a suspended driver's license attorney in Los Angeles may be the best option to help the process run more smoothly. For the advice and assistance of an experienced hit and run lawyer, Mr. Ticket is available. 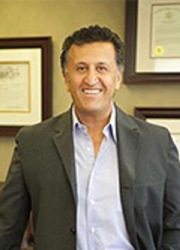 Founding attorney, Amir Soleimanian, is well renowned for his success both in and out of the courtroom. With a consultation regarding hit and run, the accused driver may decide if they wish to fight the charges with the assistance of a skilled attorney before taking a chance alone in court.